REDMOND, Wash., and WALTHAM, Mass. — Apr. 1, 2008 — Over one year after signing an agreement to exchange protection money and securing several kneecaps, Novell Inc. and Microsoft Corp. today announced that OpenSUSE developers had reached a state of unrest. As such, Microsoft and Novell decided to revise their strategic partnership and combine the best of two platforms’ intellectual property, protected by an extensive portfolio of valuable patents. 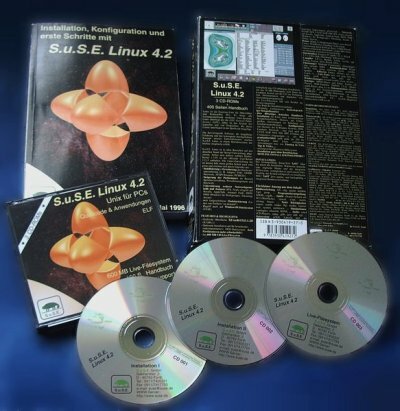 The two companies will continue to swap intellectual property (IP) and create Microsoft Windows 7, accompanied by a derivative release named SUSE Windows, ensuring that OpenSUSE developers, formerly of SuSE, can continue to develop GNU/Linux solutions with peace of mind. In addition, Novell and Microsoft announced an expansion of their strategic collaboration to create the Oligarchy Invention Network (OIN), whose purpose is to litigate — albeit by proxy — against disruptive technologies whose market cost is zero. Today Novell and Microsoft announced that 15 new customers, including SCO (Nasdaq: SCOX), have sought the services of the joint collaboration, whose potential in spreading fear is immense. “I have been looking for such opportunities for over 5 years,” said Darl McBride, whose expected departure was wrongly announced by the press in the month of February. Novell concluded by assuring technical enthusiasts that their GNU/Linux* distribution will be stripped of most or all of Novell’s contributions to it, in order to avoid further legal damage and threat over frameworks such as Mono. “The hobbyists were not exactly what we needed at Novell anyway,” summarised Just in Stein at the press conference announcing this major development. Novell, Inc. (Nasdaq: NOVL) delivers infrastructure software for the Patent-happy Enterprise. Novell is a leader in desktop to data center operating systems based on Ballnux and the software required to secure and manage mixed IT environments. Novell helps customers around the world minimize cost, complexity and risk, allowing them to focus on innovation and growth. For more information, visit www.novell.com. Founded in 1975, Microsoft (Nasdaq “MSFT”) is the worldwide leader in bribery, extortion and blackmail that help people and businesses realize their full potential. Novell and SUSE are registered trademarks of Novell Inc. in the United States and other countries. Hint for the baffled: I wasn’t really hired by Microsoft a year ago today. What would be a better day for an opportunity to say the truth about Mono in the press, under the moral shield that it the day of the Fools? Sam Varghese takes advantage and it’s a recommended read. Mr de Icaza told those assembled that he had always had a dual purpose in starting the project – to provide an implementation of Microsoft’s .NET development framework so that Linux developers could enjoy the wonderful programming tools built in Redmond and also to ensure that in future Linux became so integrated with Microsoft that it would not be possible to pull the two apart. The rest of the article is fictional and satirical, but the above is true. “Novell grew 200% in the SUSE Linux marketplace year-over-year from an invoicing perspective,” he said. The overall market is growing at 22% according to IDC,” and “we’re taking some market share from our competitors. “The key to that success has been better Windows co-existance, he insisted. “The realities of a customer’s world is that they’re going to live with both for a long time in our lifetime,” and the Microsoft relationship helps with that. Let’s go through some more facts again. These are facts which Novell refuses to mention or admit because they don’t fit its rah-rah PR pitch. Two days ago we mentioned Bill Beebe's list of Microsoft abuses, which go as far back as 15 years ago. Here are some portions from a good long post which takes a careful look at some of Microsoft’s most recent abuses. Professor Negroponte wants to make the world a better place. His vision? An affordable laptop in the hands of every child. He founded a non-profit group and created the XO, an amazing machine targeted specifically at children living in poor countries, with features such as mesh networking to easily connect and share info, a screen viewable outdoors, tiny power consumption and a battery rechargeable through a solar panel. Microsoft earlier labeled this a toy and attempted to mock it, but in 2007 as the XO began to become a reality the real attack began. Microsoft loves to sling mud on others and then refuse to say where the mud came from. In 2007, Microsoft claimed Linux violates 235 of its patents. They, of course, refused to provide any specificity to the claim, for if it is true Microsoft is not interested in allowing Linux to work around the patents. Perhaps the worst story about Microsoft in 2007 is its unrelenting assault on ISO, the International Standards Organization. That’s just the tip of the iceberg really, but seeing it all in one place certainly lends credibility to arguments about sheer abuse. Regarding OOXML, the WTO and EC might be on their way, so any announcements about an OOXML ‘win’ can be taken with a grain of salt and require some patience. Regardless of the outcome and sadly enough, ISO possibly won’t recover and that in itself is a win for Microsoft. The company never cared about industry standards anyway, by its very own admission. The latest report from Groklaw speaks about a delay, which is most likely tied to protests and ongoing investigations of ‘irregularities’ (too gentle a word). ISO now says they will tell us the results Wednesday, not today after all. I suspect there may be a connection. And Microsoft says it won’t say anything until Wednesday either, “out of respect for the standards process.” Hahahahaha. Priceless. There are other articles in the press which speak about the abuses. Take this one from ZDNet for example. In the run-up to the dealine, some national standards bodies have changed their stance. Denmark has made a last-minute switch to approve Office Open XML (OOXML), while the British Standards Institution (BSI) has been advised by a technical committee to change its vote to “yes”. The BSI today refused to say whether it will follow that advice, promising a statement on Monday; the vast majority of standards bodies will keep silent until after the deadline passes. The silence around last month’s controversial ballot resolution meeting has been broken, however, with details supplied by a Brazilian delegate providing a “shocking tale”, according to IT law site Groklaw’s detailed post. The site links to the original meeting notes, and also suggests that South Korea’s vote has changed from “no” to “yes”. Yesterday we wrote about the Singapore story and there is some more information about it here, along with higher-resolution scans of documents and letters. It’s handy to have all of this for future reference and for probes. Some people are not very good at distinguishing Carbon Copy and Blind Carbon Copy. Hopefully, Carbon Copy helps when Microsoft Singapore asks to send letters of support of OOXML to the national Standards Body. 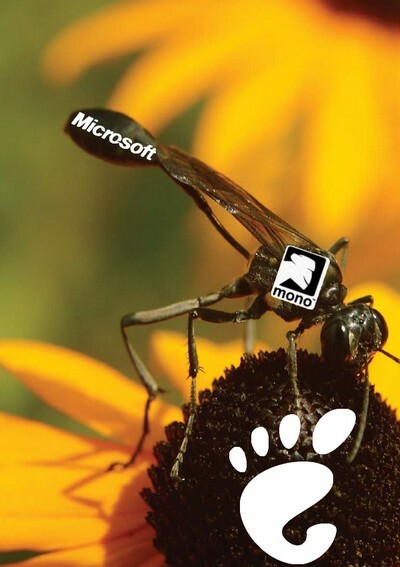 In LinuxJournal, Glyn Moody explains why this whole pursuit may actually cost Microsoft more than it will earn. It remains to be seen how Microsoft uses its media to rewrite history and approach ‘the masses’. In circles close to decision-making, the real (yet incomplete) story will be told though, based on the leaks. Writing to MEPs (if you’re European) or to Neelie Kroes, the European Commissioner for Competition, (if you’re not) is one obvious action we can all take to press for an independent, transparent inquiry into possible irregularities during the OOXML voting process in Europe. But I think there’s something just as important that we need to start doing immediately. It is striking that some parts of Microsoft have been making soothing noises to the open source world, speaking of their desire to work alongside free software projects and to ensure “interoperability” – a favourite concept at the moment – between the open and closed worlds. Those voices have become increasingly seductive to some, especially in the open source business world, who would rather work with than against the Seattle behemoth, and who seem to believe that Microsoft is genuine in its offers. But if the whole sorry OOXML saga shows anything, it is Microsoft’s deep and utter contempt for the whole idea of an open, collaborative process based on mutual respect and consensus. 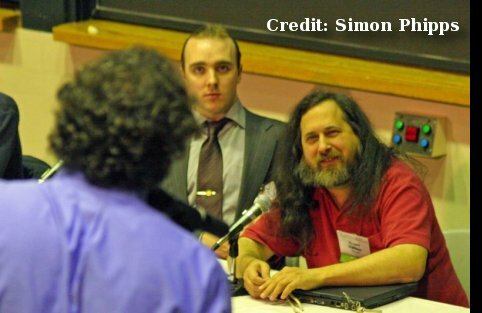 Henceforth, members of the open source community must view with deep cynicism all – not just some – offers by Microsoft to work more closely with the free software world. If they don’t, they could find themselves used and abused just like the once famous, and now former, International Standards Organisation. People have eyes. OOXML is a mess, and the whole world knows it. And there is no way to wipe that stain away. Ironically, had Microsoft put it on the regular track, it would probably have at least been made usable, if not necessary. No one can make it necessary. And there can be no doubt that Microsoft’s reputation has taken another hit, due to its behavior. We know now that there is no “new” Microsoft. The Vista Capable fiasco: to hell with system recs! Accept it or hate it, Microsoft still intends to use software patents for redefining the rules of a game it is losing. Be it welcomed or damned, it is important to fight this battle against ‘contamination’ with software patents, which large companies try to 'inject' into national law worldwide. Here we present some new items of interest. In many ways, the human mind is like a computer … it processes information and stores data. Are the memories we have of music; films and books in violation of copyright, because they are stored like computer files in our minds? Should we be legally prohibited from discussing this “content”, for fear of being accused of illegally “distributing” copyrighted material? Brad Feld, a venture capitalist, described software patents as an “evil scourge on our planet” that stifle innovation and believes technology has no value by the time it is patented. Feld stated software patents should be abolished and the problems of software patents would be solved with large companies creating patent software commons of cross licensing the patents. Is THIS Microsoft’s Plan of IMITAT~1^H^HOwning a Superior Competition? Microsoft loves software patents and its ridiculous portfolio proves this. But it has this annoying obsession of patenting things that Linux/UNIX ‘own’ but never had patented. How about Microsoft's sudo patent? Or this new post from Glyn Moody about Microsoft ‘owning’ system modularity? Unsurprisingly, Microsoft already has a patent on a “modular operating system” concept. A *patent* on modularity? Give me a break…. Well, our Web site now contains many broken (outgoing) links since the man’s blog was bullied out of existence. And now it’s BusinessWeek’s turn to tell the story. Troll Tracker gained repute as a forum for information, not invective. But its more volatile content would eventually combine to blow up the blog and land its creator and Cisco in legal hot water. A reader comment in December contained a death threat against Chicago attorney Raymond Niro Sr., who has long represented trolls. Two Texas attorneys were enraged by Troll Tracker reports suggesting that the lawyers may have had dates altered on a court document—a felony. By the end of last year, Niro had put up a $15,000 bounty to unmask the anonymous blogger, and Internet sleuths had tried to track him. How truly unacceptable. A known troll [1, 2, 3, 4, 5, 6, 7] resorts to bullying [1, 2, 3]. In recent months, Microsoft seems to have engaged in a ‘distributed denial of service attack’ when it comes to corruption. Those striving to keep track of Microsoft’s dirty tricks, let alone have the company prosecuted and punished, are up for a real task. “Microsoft reportedly did this in order to push OOXML right into the fast track — a fiasco which many mind have already left neglected in the past.”The following report could easily translate into more labour (even burden) for the EU Commission to handle. It comes at a time when the digital complaint box has been filled — so to speak — topping its rim. That’s what we mean by “distributed denial of service attack”. When it rains, it pours. Today’s story comes from Singapore where Microsoft has been caught using an old class of dirty tricks. In the past (just under a year ago) we saw the company applying this tactic to ISO directly. We repeated this story on the first day of the BRM in Geneva. Microsoft reportedly did this in order to push OOXML right into the fast track — a fiasco which many mind have already left neglected in the past. Several weeks ago we saw similar tricks getting used in India. As we wrote at the time, Microsoft may have bribed charities in exchange for OOXML lobbying and pressure. It’s appalling, and it’s difficult to deny. To make this long story short (it is backed by compelling and undeniable evidence), Microsoft is one again flooding national bodies with template-imposed letters. It is using its many proxies, some of which have no relevance at all to this debate. Back in 2001, Microsoft even used as proxies a variety of deceased people, whose bogus ‘letters of support’ written were written by a firm Microsoft had hired. Add such practices to academic kickbacks and AstroTurfing and you will soon realised what level of corruption it emitted from this company, which never ended misbehaviour. It’s another dark day for human decency, courtesy of Microsoft. Amid several new complaints from the American Antitrust Institute, US Antitrust officials have made a promise to step up. Bush administration officials vowed Friday to more strictly enforce antitrust law in their remaining months in office, while their European counterparts struck a more conciliatory tone. 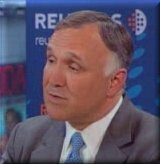 In remarks to a lawyers’ group, the goal seemed to combat the perception among many antitrust experts that the European Union enforces antitrust law with a vengeance in contrast to a too-lax approach in the U.S.
Thomas Barnett, the Justice Department’s top antitrust official, said the agency will pursue “aggressive but appropriate merger enforcement.” The department faced criticism earlier this week for clearing — without conditions — Sirius Satellite Radio Inc.’s $5 billion (€3.2 billion) purchase of its only rival, XM Satellite Radio Holdings Inc.